Received on December 07, 2018. Subject to change. The only artwork inside Scott Pickett’s fire- and smoke-focused restaurant, Matilda, comes in the form of a museum-like series of glass cabinets filled with botanical installations, from flowering artichoke plants to fermenting persimmons. The displays change with the seasons. The dining tables, by furniture-maker Hugh Makin, also fit into the visually pleasing category. Constructed out of two felled trees in the Otways, the wood has been carved into tactile pieces of sculpture that just happen to be tabletops. This is Pickett’s tribute to Australia, and it hits you from the moment you enter the restaurant in South Yarra. The low-slung ceiling is a procession of perforated red-brown arches – a colour that immediately brings to mind Uluru and the Red Centre. 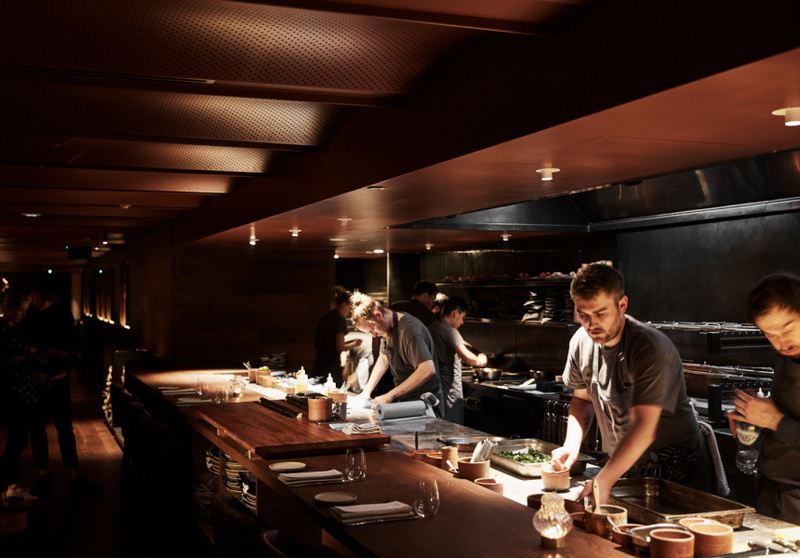 Native wood sits piled beside a long bar overlooking a busy open kitchen. Then there’s the menu, with finger-lime laced spanner crab, John Dory steeped in a native take on French grenobloise, and tarte tatin loaded with pink lady apples. 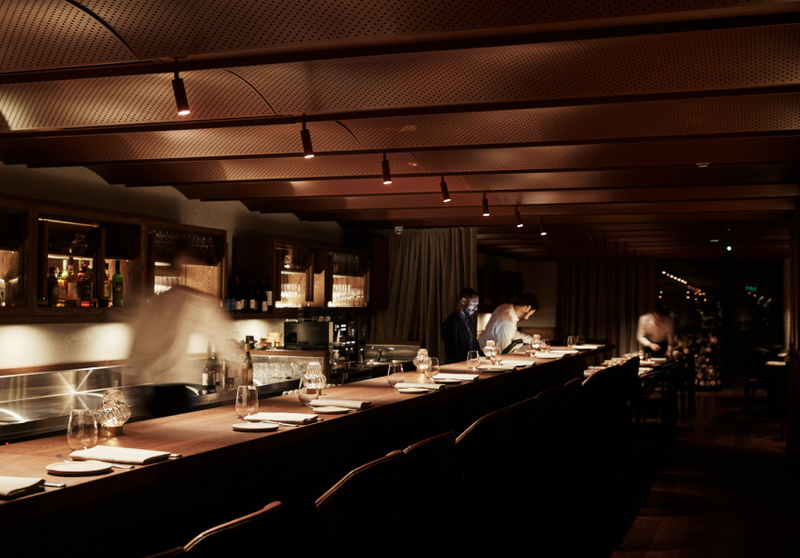 The owner-chef enlisted Projects of Imagination to bring his concept to fruition, and the design firm has created a fit-out unlike any other in Melbourne. 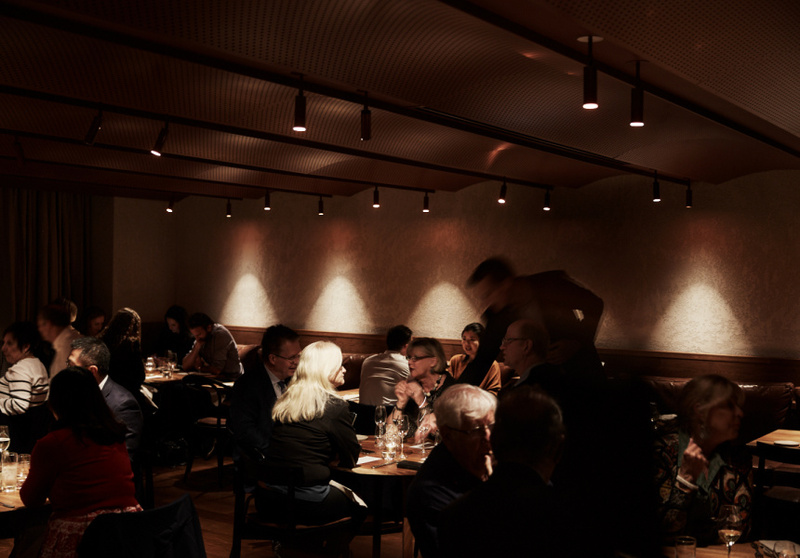 Its sophistication and individuality is of an international standard – it would be an impressive space whether here or in Manhattan – but it’s wholly and instantly Australian. A whole John Dory, for example, merges Pickett and his chefs’ classical training with a distinctly Australian vernacular. The fish is topped with Matilda’s take on the classic French sauce, grenobloise (typically capers, beurre noisette and lemon), and given “a sense of place” by adding salt bush, desert lime and a little bit of lemon myrtle. The same finely drawn approach is true of the team’s use of wood fire, charcoal and smoke. In some plates, flames and coal are obvious in taste and sight: flatbreads with thin, black char lines, or burnt spelt sourdough that instantly tastes of fire. In others, the method provides more delicate assistance, as in the smoked vanilla bean ice-cream (served with a glossy tarte tatin), or a crisp-skinned, dry-aged duck breast that’s cooked in the second chamber of a woodfire oven, allowing smoke from the burning cherry wood to filter through and almost pot-smoke the duck. A generous serving of spanner crab dressed in crème fraiche and studded with finger lime is the right mix of sweet and miniature explosions of sour. It comes with the aforementioned charred, doughy flatbreads and butter dusted with ground-down dehydrated school prawns – pile together/assemble for a decadent DIY sandwich. Buckwheat crisps are the edible shovels for your kangaroo tartare – perfect little cubes of tender wine-red meat with toasted sunflower, sweet but tart Packham pears soaked in shitake vinegar, garlic puree, wattleseed and fermented red peppers. The tarte tatin – which Pickett says he tested roughly 600 times before getting it right –comprises hefty boats of apple piled on rough pastry and caramelised until treacly with caster and coffee sugar. Hiding beneath the apple you’ll find perfect little stars of thyme.